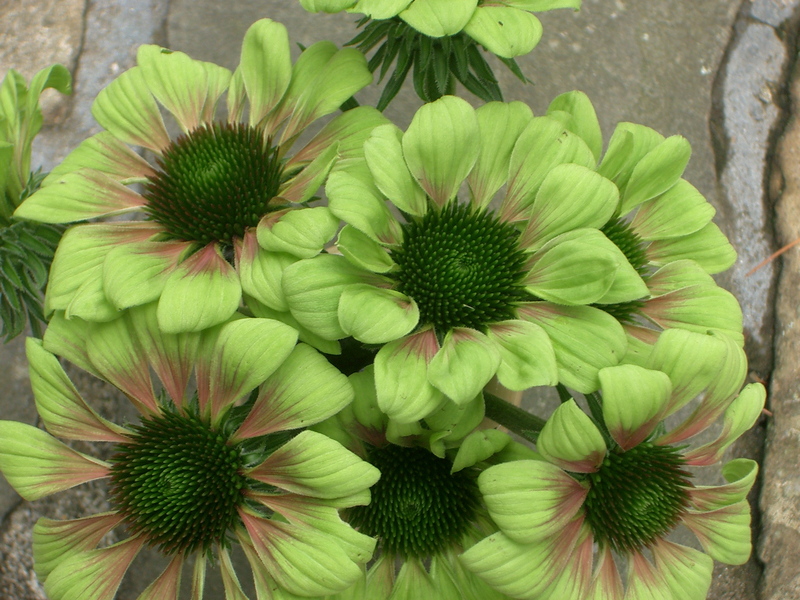 Echinacea purpurea "Green Envy"™ Pride of Place Plants Inc. Unusual lime-green daisy-like flower heads with rose pink rays towards the centers of the tepals. Large cone-shaped centre is dark green and lime green. Long lasting flowers, born on strong stiff stems are perfect for cut flower arrangements. Established clumps can be up to 3 feet in diameter and just as tall. Leaves are dark green and coarse, lance shaped. The cultivar will be propagated in the United States and will be released to the Home Gardener. For further information, please contact, Pride of Place Plants Inc.
Spring Hill Nurseries, Gardens Alive!